One of the most ubiquitous portraits that appear in our minds when we hear the word ‘India’, is the colourful variety of saris. With plenty of cultures present in our country and the diversity that our motherland has, it all reflects through these saris. Here’s a unique entrepreneurial journey of a boutique that took shape during a charitable act by the Founder that is aimed at helping the weavers in Bengal. The Lifestyle Portal caught up with Nandini Banerjee, a 44-year old, Mumbai based B.Sc. qualified mompreneur. She is an ex-primary and secondary school teacher, who also has an experience of working with a multinational company. She has also been into lots of healing work like family constellations and past life regression therapy etc. This powerhouse of a woman is now the Founder and Sales Director at The Charkha, a boutique dealing in saris and traditional accessories straight from the weavers in West Bengal. 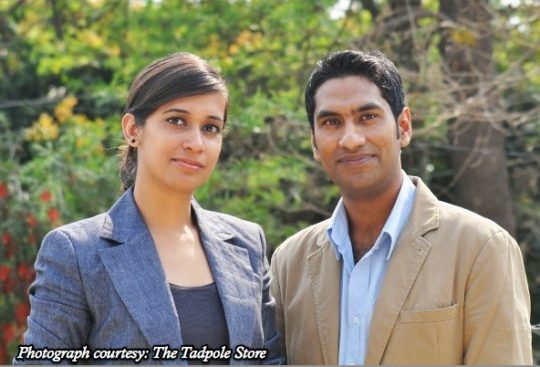 It all started when Nandini was involved in charitable work at an ashram she was associated with. One of her Guru sisters at the ashram was working with a lot of poor weavers, mainly women, from West Bengal. She sent Nandini fifteen saris, to begin with, and which Nandini promised that she would sell, in order to help those weavers. Slowly, Nandini realised that if she would keep up the flow of supply of such saris, then it would benefit the poor weavers much more; and that’s how ‘The Charkha’ emerged. 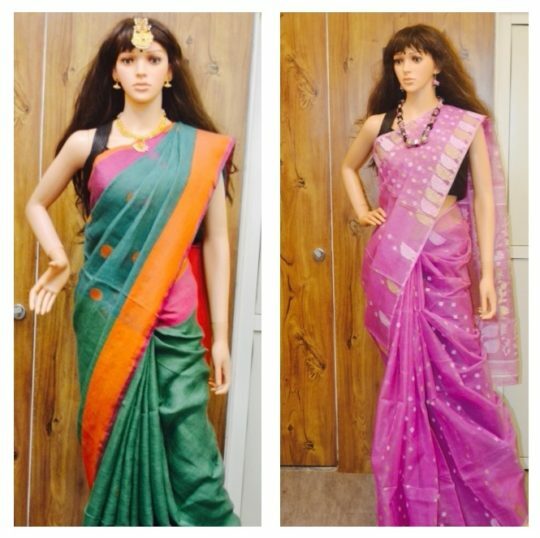 “Initially I used to save little money from my monthly expenditure to buy saris. But when The Charkha emerged, more investment was needed. I had a little gold jewellery from my wedding, some gold jewellery which I got made for my daughter’s marriage and some small amount of gold that my son had received in his thread ceremony. I kept all this gold as mortgage and took a loan against it”, recalls Nandini. Since Nandini was dealing with desi accessories and handloom saris, she wanted a traditional name for her brand too. The brand name ‘The Charkha’ was suggested by her son, Sabyasachi, who, in fact, also created the company logo. “Earlier mostly non-Bengalis used to buy saris from me. 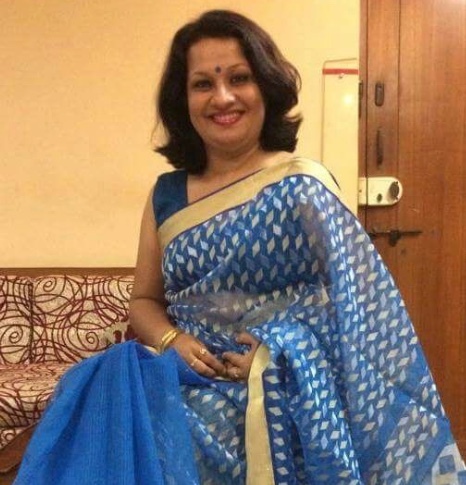 But now after opening my boutique, I received a lot Bengali clients as they find my collection of saris as good and as reasonable as the ones available in Kolkata,” smiles Nandini. The Charkha mostly promotes handloom saris from West Bengal and was formed for a noble cause for helping the poor weavers of West Bengal. Ethnic jewellery and Kolhapuri chappals available too. What makes The Charkha unique? The Charkha team has 5 members- Nandini, her husband Sudipto Banerjee, their daughter Bhaswati, their son Sabyasachi and Nandini’s assistant. 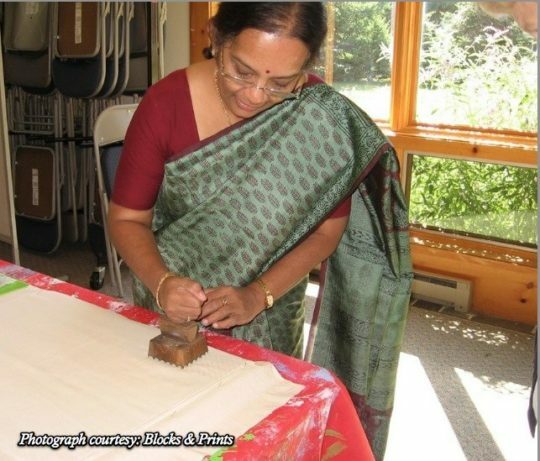 “When The Charkha’s wheel started spinning, my husband used to live abroad, but he was immensely supportive. Whenever I held an exhibition and if he could, he would make sure that he would accompany me and help me run it successfully. My daughter studies in a different city in India but, she too provides immense moral support whether it’s regarding selection of saris, jewellery or joining me in exhibitions whenever she is in town. My son at that time was in 9th grade. He named the company The Charkha and made the logo for it. Without his physical and mental support, this company would not have been able to reach the position where it is now. My assistant Darshana, is also a huge support. 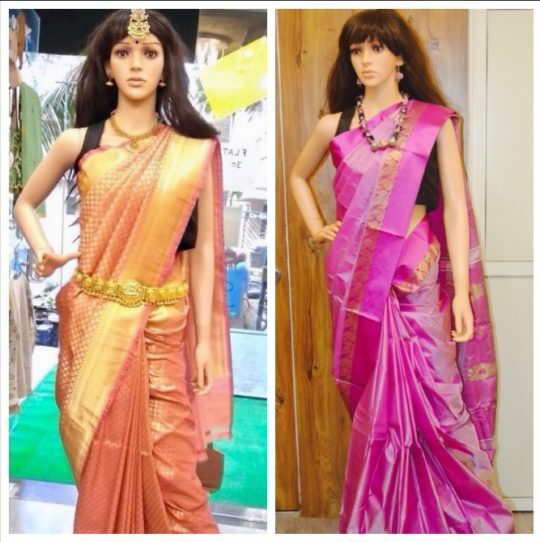 From showing saris to clients, folding them, keeping the mannequin ready, cleaning, preventing shoplifting and keeping records of sales, she does it all. She is just a little angel for me”, beams Nandini with pride. Great article. I enjoyed reading the story behind Charkha and inspiration that the founder, Nandini Banerjee, utilized to be take the step towards entrepreneurship. Much kudos and best wishes for much success.